The co-founder of Indonesian low-cost carrier Lion Air is "very upset" at Boeing for what he sees as an effort to deflect blame toward the airline for the Oct. 29 crash that took 189 lives. He is talking privately about whether he should cancel some of the airline's large order for 737 MAX airplanes. The co-founder of Indonesian low-cost carrier Lion Air is furious at Boeing for what he sees as an effort to deflect blame toward the airline for the Oct. 29 crash that took 189 lives, and he is talking privately about the possibility of canceling some of the airline’s large order for 737 MAX airplanes. “He’s very upset with Boeing,” said an airline financier who knows Lion Air founder Rusdi Kirana well. Over the last few years, Kirana’s relationship with Boeing has deteriorated, said both the financier and the chief executive of an aircraft-leasing company. The tension over assigning blame for the crash has only made things worse. Kirana’s talk of cutting Lion Air’s 737 orders was first reported Monday by Reuters. It may also be an opportune moment to cut some of Lion Air’s 188 unfilled MAX orders. Industry sources say it’s been clear for some time that the airline has ordered more planes than it can handle. Even last year, before the crash, according to two people with knowledge of the company’s thinking, Lion Air was discussing possible deferrals of aircraft deliveries. “I don’t know if Rusdi is just using this to gain leverage on Boeing,” said the aircraft lessor CEO, who asked not to be identified to protect business relationships. Yet what’s more at stake is reputation. Kirana needs to defend the competence of his pilots and maintenance staff to maintain confidence in his airline and keep passenger levels up. The financier said Kirana believes that while there may have been deficiencies on Lion Air’s part, the trigger for the crash was software in Boeing’s flight-control system. After the preliminary investigation report on the 737 MAX crash was issued last week, Boeing released a long statement that highlighted technical problems on the four flights before the fatal one and the fact that on the flight the previous day the pilots had safely dealt with what seemed very similar inflight problems. While those details point to possible airline maintenance or pilot error, Boeing’s statement made no mention of the new flight-control system introduced on the MAX that began pushing the plane’s nose down during the flight when a faulty reading from a sensor suggested the plane was approaching a stall. U.S. airline pilots have complained that the existence of this new system was not disclosed in training. “Rusdi has the feeling he’s being manipulated by Boeing,” the financier said. Kirana founded Lion Air in 1999. Though he was a new entrant to the aviation world who previously ran a travel-agency business, his ambition created the largest airline in Southeast Asia and a huge new customer for Boeing. Although Kirana has ceded day-to-day control of Lion Air to Chief Executive Edward Sirait and has moved on to a political role as Indonesia’s ambassador to Malaysia, he’s still 50 percent owner of the Lion Air Group, which includes sister airlines in Thailand and Malaysia as well as Indonesia. He’s said to be in charge of major decisions. Lion Air has taken delivery of almost 200 737s already. And the Lion Group’s pending orders for the MAX represent about 4 percent of the undelivered backlog. Lion also has 178 Airbus jets on order, all for the A320neo family that’s a rival to the 737 MAX. The airline financier, who asked not to be identified to protect his business relationship with Boeing, said Lion has committed little in advance payments for most of those aircraft. It has put significant money down only on jets to be delivered in the next couple of years. So for aircraft set to be delivered beyond that, canceling would probably not mean a big penalty. Despite Lion’s large order numbers, Scott Hamilton, head of Bainbridge Island aviation consultancy Leeham.net, said he doesn’t think cancellation of even a significant part of the Lion Air order book would be a big blow to Boeing. With a backlog of just over 4,500 planes, the MAX program can afford to lose a couple of hundred orders. 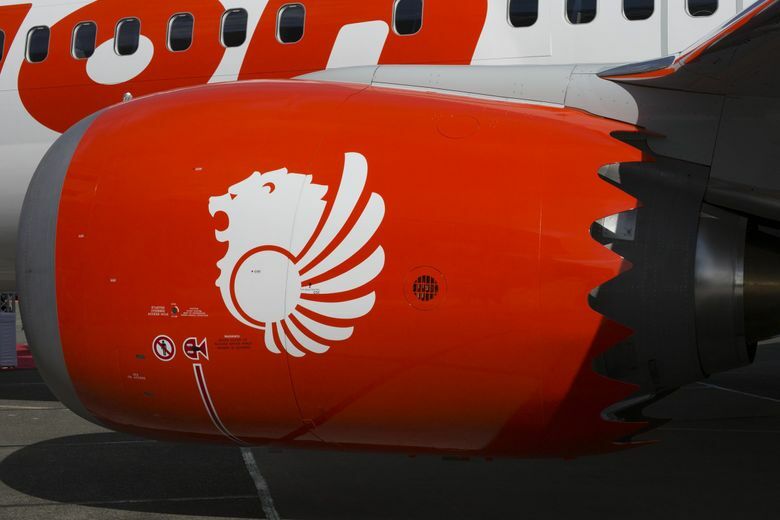 According to two sources, Lion Air last year was in financial difficulties and was restructuring leases and considering deferring some orders. Many in the industry believe Boeing helped bail out the airline, with the quid pro quo that Lion would upgrade 50 of its MAX orders to the largest MAX 10 model, which it did in April this year. Others in the industry besides Hamilton agree that Lion Air is overstretched. “They bit off more than they can chew,” said Adam Pilarski, an analyst with consultancy Avitas. He notes that in the same region, VietJet and AirAsia also have huge aircraft order books. While passenger traffic in Southeast Asia is growing rapidly, it cannot absorb all those airplanes. Pilarski said the crash exacerbates Lion’s problem. “It may reduce passenger traffic and that would impact the number of aircraft they need,” he said. The financier said a reduction in the pending orders was likely coming even without the crash. The lessor CEO believes that though the two sides are now sniping at each other , he expects behind-the-scenes negotiations, which might include deferring some orders and other financial enticements, to eventually cool things down . “There’ll be some positioning before it gets really ugly,” he predicted.